You must activate every code for them to work. Use our simple form below to get started. Please be sure to enter your code exactly as shown on your tag. Each bag loop has a separate code, but because the codes on each sheet of 4 or 12 asset labels are the same you only need to register the code from one of the asset label, per sheet. 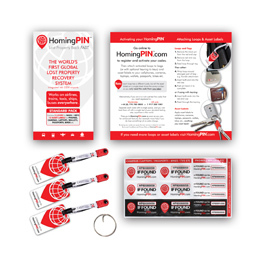 To activate your HomingPIN codes (i.e. 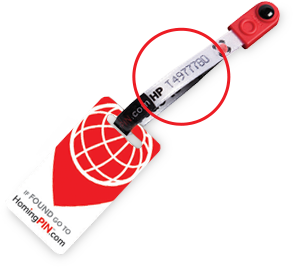 the codes on your baggage loops and asset labels) and register your account, please enter your HomingPIN codes below and follow on to the following screens to create your online account. You can then login at any time in the future to buy extra tags and of course find details about your lost baggage.